For big impact on the beach or by the pool, our promotional jacquard beach towels are a great marketing tool. 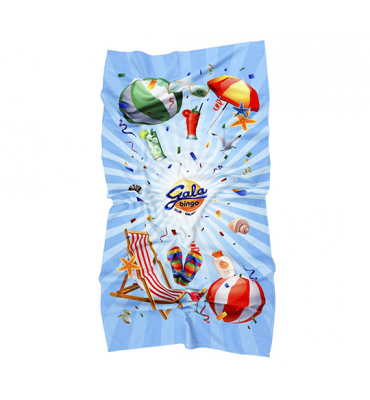 With the sun shining on a brand or logo, beach towels are a very popular choice to maximise brands. For summertime promotions, they’ll be used year after year and are ideal for events, corporate gifts and surf shops. Custom beach towels are woven using separate colours across the whole or part of the towel offering many design options. For an extra soft feel and intense colour, choose a velour finish for your custom promotional towel.